The result of the AMM Phase II project is not a ready to ship commercial product or a package of information from which one can build a commercial product. The AMM team is putting together a prototype system to demonstrate the functionality of the standards and reference designs based on work being done under other projects and some industry players. The final deliverables of the AMM project is not a complete set of designs and specifications from which one could manufacture a complete system. Although a company can choose to build a complete system, the standard interfaces that have to be used to be deemed AMM compatible ensures that at the segment level, product offerings remain interoperable. Although the Platform can be used to support Research Projects, the deliverables from the AMM project will be ready to be implemented into commercial solutions, with some core components set for low volume production based on demand. “Advance the state of the art in medical simulation based training. It is anticipated that the core AMM system will be state of the art, modular, and relatively autonomous. It will serve as a core platform that allows scaling from a simple, to a vastly more capable unit, using future commercial upgrades, “peripherals” that can be obtained from a variety of potential sources. 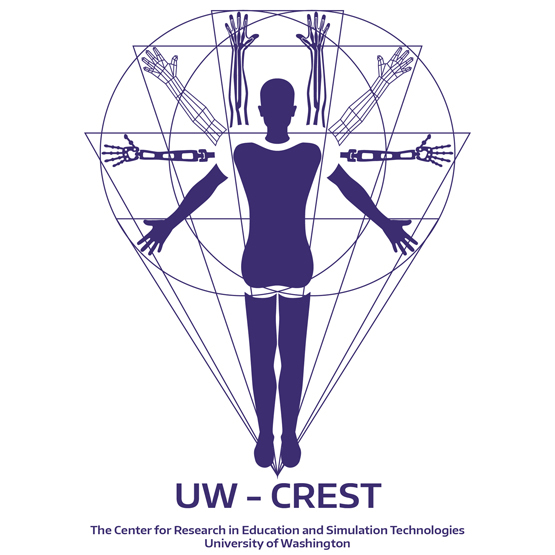 The CREST team is developing a set of reference designs for the real-time compute modules and the analog boards that connect to any needed sensors and actuators within the plug in educational modules, such as an IV Arm or Intubation Head. We are developing these to demonstrate the functionality of the AMM Platform. The designs will be documented and published as part of the deliverables for this project. CREST will attempt to secure a source that can deliver the reference hardware kit at a reasonable cost for development teams to facilitate their design process.